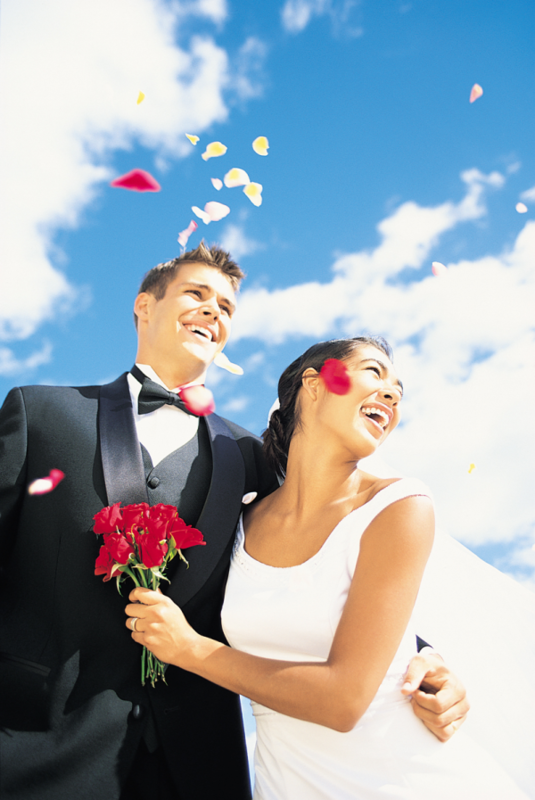 Thinking about a prenup? There are pros and cons. Are you ready to have heartfelt, honest discussions about life’s most important issues? Will your finace be offended you want to talk about a prenup? If so, how will you handle that? Everyone in your life will have an opinion about prenups and why they are good or bad. Are you ready to either listen or politely ask them to keep their opinions to themselves? Are you confident enough to let your fiance know your true wishes with regard to the agreement, whether you’re the one who suggested it or not? Or will you be tempted just to get mowed over to keep the peace? Bottom line: If any of these points above are an issue for you, isn’t it important to know that before you walk down the aisle, not after? It doesn’t matter what you call it: Prenup, premarital agreement, prenuptial agreement……doesn’t make the discussion any easier. Honestly, it’s not as much about the written document as it is about the disucssion. I’m convinced that if you have the discussion, and talk about all the topics, that you may or may not need the written document (don’t tell my lawyer colleagues I said that). Premarital Discussion Checklist. I’ve been a divorce lawyer a long time (23 years! ), youthful appearance notwithstanding. I know a lot about what ruins marriages. And while I don’t know everything, I’ve certainly seen some patterns over the years. Let’s forget the lawyer stuff for a minute. Money discussions are hard. But if you’re going to be married for any length of time, there are going to be lots of hard things that you’ll need to deal with as a couple. And the tough stuff either brings you closer, or it breaks you apart. Think the divorce rate is already high? It’s much higher for parents of special needs children, sick children, and children who are injured in accidents. Wondering what triggers divorce? In any marriage that ends in divorce, the seeds of the divorce are planted long, long before the divorce actually happens. Deciding to divorce doesn’t just happen out of the blue (and neither do affairs, being a work-a-holic or addicted to anything and everything). The breakdown of a marriage is an erosion. But if you want to talk about the ordinary life events that seem to burst the dam on the marriage (after the erosion has been going on awhile) I can tell you that we see a lot of couples in divorce mediation who have been through a re-evaluation process after a big event or change. Cancer patients in remission who don’t want to spend the rest of their lives in this marriage. Adult children whose parents have died, and the death of the parent has caused them to re-evaluate their lives. These are just 2 examples, but I think you get the picture. So if you can’t talk about money and property and who pays for what before you’re married, how are you supposed to talk about any of this other stuff, these adult rites of passage, which have a 100% chance of happening to you or your spouse at some point? As someone who’s done 4000 divorces, I know you’ve got to talk about this stuff and either get on the same page with it or agree to disagree (and still get married). The folks we see who get into trouble avoid hard discussions, particularly about money and how they feel about property they inherit or owned before the marriage. They go along to get along…not knowing that what they’re really doing is starting the journey down the slippery slope. Some get lucky, I know, and never run out of money or never face hard challenges. We don’t see those people in our divorce mediation practice. But all too often we see regrets, misgivings, secrets, and “I thought we agreed on this” when they never even talked about it. You don’t have to agree on everything. But you do need to know how to handle hard discussions and differences of opinions. As you get older, you’ll weather a lot of storms together—-sick parents, deaths, illnesses, job loss, business downturns (or quick upturns—all stress is stressful, even good stress like dealing with too much success too fast). You need the foundation of we can talk about anything to be able to get through. So this prenup discussion is really the tip of the iceberg. And even if you don’t want to do a written agreement, you still need to have the discussion. It’s the discussion that’s the most important part. A checklist of premarital issues will get the communication started. Even though prenuptial agreements get a really bad rap, they’re vital documents that protect both people about to enter into marriage. It’s all about your approach. By having a calm and logical conversation before pulling out any documents, you stand a much better chance of keeping things civil and pleasant. Let’s face it: talking about money with your significant other (or anyone else, for that matter) is difficult. It can be awkward and uncomfortable. What makes it worse is talking about a prenup means acknowledging the potential of divorcing one day. Not exactly how you want to start a marriage, but the sooner you get it out of the way, the better. Because this isn’t about suddenly falling out of love or something like that. Things that are planted in the relationship years before cause most divorces. Whether it’s unfaithfulness, spouse or child illness, or a family death, divorce can happen for a variety of reasons and is triggered by large life events or changes. Premarital Agreement Checklist: this checklist contains very serious potential issues you could face as a couple. They’d be hard to talk about should they arise. So think of it this way: talking about how you’d divide your money and property in case of a divorce doesn’t sound so bad when compared to these major life issues, right? Just try to keep things in perspective. And let’s face it: wouldn’t you rather make these decisions while you love each other? Most people naturally like to avoid conflict. If it’s uncomfortable; they avoid discussing it. But this could leave some vital things left hidden until it’s too late to resolve amicably. Sometimes people avoid issues until they become too big and too daunting to face. And if you’re on the verge of divorce, suddenly having to talk about money and who gets what can lead to animosity. That’s why it’s much better to figure out these issues early on, before you’re married. And think of it this way: if you can talk about a prenuptial agreement, you’ll strengthen your bond and prepare your relationship to talk about anything that arises during your marriage. Life is stressful and you need to be prepared to talk about it. No matter how difficult. So get the prenup thing out of the way first. You may not even need a legal document to get this squared away. Just talking about it might be enough for you two. Then you’ll be ready to tackle the really big issues later on once you’re married. When couples start throwing around those dreaded words “prenuptial agreement” (a.k.a. prenup, prenupt, premarital agreement) the inescapable thought is, “Uh-oh, are we planning on getting a divorce?” Most people get this feeling that bringing up a prenuptial agreement is bad luck or amounts to dooming your marriage. Nothing could be further from the truth. A sound business decision and a sound personal decision don’t have to be mutually exclusive. It’s important to remember that a prenup doesn’t start with drafting papers in a lawyers office. It starts with a discussion. Who better to facilitate such a discussion than a qualified Family Mediator? No need to go to an expensive divorce lawyer who is out to take one side. A Premarital Agreement is a two-sided discussion, one best made when all parties are present and speaking openly about their finances and their feelings. Remember, a Mediator is there to facilitate discussion. Having someone to listen who can also give advice is better than going into battle with high-priced divorce attorneys. This is your relationship. Wouldn’t you rather have it start out with an open, frank discussion? One that can set the tone and ensure that both parties will look at divorce as a distant and unlikely scenario? In any mediation session, I like to relate to the parties as friends. “If I were you, I’d…” Nothing binding, just friendly advice. The idea again is communication. What I usually tell folks is: Marriages are difficult undertakings. Sharing yourself with your loved one not only involves physical and emotional love, but there’s also a business angle. Having that money discussion can be devastatingly difficult, but don’t let it shake you. You’ll need to have much harder conversations in the future, if you are to have a successful relationship. From my experience, having these conversations brings people closer. I’ve been a divorce lawyer in Los Angeles, California for over twenty years. In that time I’ve seen and heard just about everything. I am well-versed in the causes of failed marriages. To me, there is a pattern that is common to many divorces. So what is this common thread? As a divorce attorney in Los Angeles, I get this question a lot. I should start by saying that divorce rarely occurs after an isolated incident, but after a systematic erosion. Just like the causes of any addiction or affair aren’t usually out of the blue, divorce signals a deeper problem. However, when we start talking about certain events that can trigger a divorce (the last straw effect), there is a common bond. In these cases, the couple has undergone a serious life change and are in a re-evaluation process. Deaths in the family, sickness, car accidents: these are all events that can trigger a life re-evaluation where a divorce is seen as necessary by one or both parties. If your parents die, or if your child gets sick, the toll can wreak havoc and cause people to have serious doubts about their marriage. But these are all too common events in our lives. And in order to have a healthy relationship, as adults we need to be able to talk about them. Unfortunately, with the high divorce rate, we know that this can be extremely difficult, but the point is, if we can’t have a simple discussion about money, how can we expect to be able to deal with these much more difficult conversations? Couples get into trouble when they start avoiding difficult discussions like these. Particularly ones that revolve around money and property they owned or inherited before vows were exchanged. Too often I see people in our Family Mediation Practice who are getting a divorce and the problem was communication. They were unable to have these frank discussions. By not talking about your finances at the outset of a marriage, you are embarking on a slippery slope. Talking about it is the first step and by doing so, years from now you won’t have regrets, saying “I thought we agreed” on this or that. Get it out in the open. It’s great practice for a successful, lasting marriage. Even if you don’t decide to put anything on paper, the discussion is still necessary. And we’re here to help. Look on our site for more info about Premarital Mediation. Let’s face it: talking about money with your significant other (or anyone else, for that matter) is difficult. It can be awkward and uncomfortable. What makes it worse is talking about a prenup means acknowledging the potential of divorcing one day. Not exactly how you want to start a marriage, but the sooner you get it out of the way, the better. Because this isn’t about suddenly falling out of love or something like that. Things that are planted in the relationship years before cause most divorces. Whether it’s unfaithfulness, spouse or child illness, or a family death, divorce can happen for a variety of reasons and is triggered by large life events or changes. These are very serious potential issues you could face as a couple. They’d be hard to talk about should they arise. So think of it this way: talking about how you’d divide your money and property in case of a divorce doesn’t sound so bad when compared to these major life issues, right? Just try to keep things in perspective. People naturally like to avoid conflict. If it’s uncomfortable, they avoid discussing it. But this could leave some vital things left hidden until it’s too late to resolve amicably. People avoid issues until they become too big and too daunting to face. And if you’re on the verge of divorce, suddenly having to talk about money and who gets what can lead to animosity. That’s why it’s much better to figure out these issues early on, before you’re married. You hear a lot of talk about prenups, but what does a premarital agreement look like? Where can one find a premarital agreement sample? 1) Defining your pre-marital assets. Most premarital agreements also include provisions for what will happen if you use your pre-martial assets to buy something for both of you, like a house. Would you get your investment back if something was to happen to your marriage? Or would that be a gift that you made from your pre-marital assets to both of you? 2) Defining your m arital assets. Will you each keep your own income and be responsible for your own savings? Or will you create marital assets by putting some of your money in joint names? And, like the questions above, if you take some of this joint money and use it, say, for a new bathroom in a house one of you owned prior to the marriage, would you reimburse the joint account if you got divorced later? 3) Spousal Support and Alimony. This is a hot topic. If you got divorced, would either of you pay spousal support, alimony or maintenance to the other person? If you might pay spousal support, would you put any limits on the amount or amount of time it would be paid? Would any of these answers change if you had small children who weren’t in school? 4) Debt. Is one of you a spender and one of you a saver? If so, you’ll want to talk about how you’ll handle borrowing, credit cards, and debts. You’ll also want to talk about savings and retirement planning. These are just a few of the examples of things that you’ll want to think about when drafting your own premarital agreement or prenuptial agreement. Here’s a checklist for premarital agreement topics which we use when discussing this topic with our clients. And, you can prepare for a premarital agreement discussion by using our free resources. Why would someone want to have a Premarital Agreement? Make sure you benefit from your groundwork before you got married: education, efforts and ideas. Many prenups include more generous provisions for accomplishments after your marriage, as opposed to before. Protect each other from your old debts and obligations…or new debts and obligations. 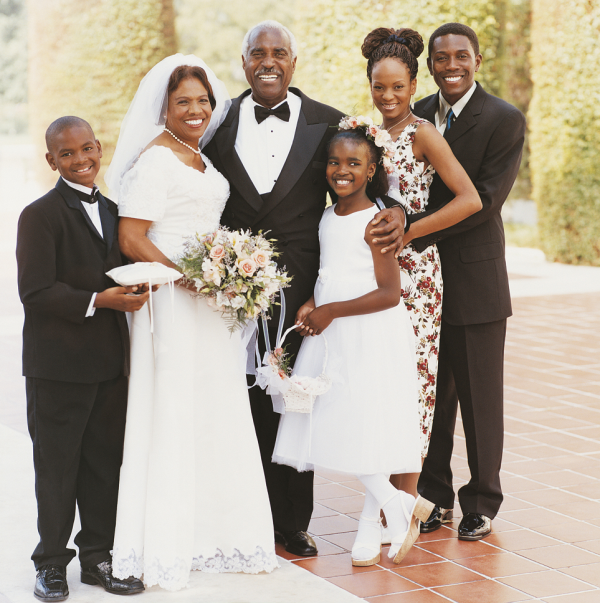 Protect your new spouse and your children from prior relationships in case you get divorced or predecease them. At Peace Talks Mediation Services, we help couples negotiate premarital agreements in a confidential, neutral setting. Our team of attorneys and therapists (who truly work together as a team, right during your mediation session) will help you work through even the scariest issues.